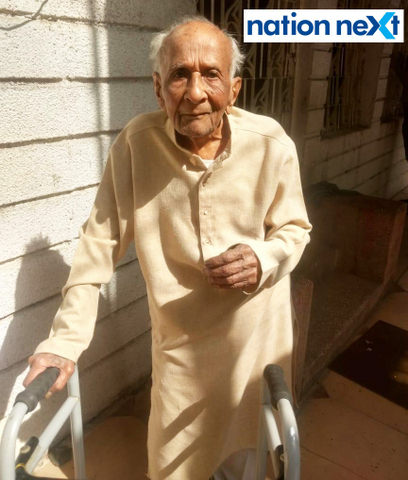 tNagnath Kae, a 100-year-old Nagpurian, cast his vote in Nagpur for the 2019 Lok Sabha elections today. Kale, a resident of Ajni Square, is the founder of Nagpur Nagrik Bank. A freedom fighter, Kale was even jailed during Quit India Movement in 1942 and after Mahatma Gandhi’s assassination in 1948. A former lawyer, Kale is the founder member of the Rashtriya Swayamsevak Sangh (RSS) in Tamil Nadu and Kerala. Born in Benaras, Kale perused his graduation from Benaras and post graduation from Nagpur.